mentioned above in different categories of post in the Judgeship of Malda. The examination/test of all categories of posts will be held in a particular date and time in the district of Malda which shall be ﬁxed and conducted by the District Recruitment Committee of Malda Judgeship in due course of time. The candidate must have passed Madhyamik or Equivalent examination from any recognized Boardand at least he must possess a certiﬁcate in computer training from a recognized institution and a satisfactory ﬁngering speed in computer operation. A minimum speed @ 80 w.p.m. in Shorthand and a minimum speed @ 30 w.p.m. in typewriting from a legible manuscript in English for 10 minutes along with certiﬁcateof Stenography & Typing. The candidate must have passed Madhyamik / Matric from any recognized school or recognized Madrasah or any other recognized equivalent institution and at least a Certiﬁcate / Diploma in Computer Training from a recognized Institute and with the ability of typing on Computer at the Speed of 20 Words per minute in English. The candidate must have passed Madhyamik / Matric from any recognized school or recognized Madrasah or any other recognized equivalent institute. The candidate must have Class-VIII pass certiﬁcate from any recognized school or recognized Madrasah or any other recognized equivalent institution. The applicants must have ability to read and write Bengali. Paper - I — Dictation & Transcription (400 marks) ( Dictation lasting for 6 minutes followed by transcription of notes in candidates’ own handwriting for an hour). Paper --III- Typing in Computer ( 100 marks ) ( The candidates are required to type from a manuscript accurately on the Computer @ not less than 30 words per minute. The test will last for 10 minutes). carrying 100 Marks. l mark shall be reduced for each wrong answer. The duration of the examination would be 1/2 hour. The duration of Part-II Examination shall be 1 (One) hour. The standard of the Written Examination shall be similar to Madhyamik or Secondary Examination. On the basis of the result of the Part-II Examination a number of candidates shall be selected and called for Personality Test and with Computer Test. On the basis of total marks obtained in the Written Examination and personality test, a ﬁnal panel will be prepared. The Recruitment Committee shall ﬁx the minimum qualifying marks in Part-II Examination. carrying 100 Marks. 1 mark shall be reduced for each wrong answer. The duration of the examination would be l&1/2 hour. The candidates shall have to appear in a written examination to be conducted by the District Recruitment Committee, Malda Judgeship. The Authority will determine the syllabus for the scheme and method of the written examination. On the basis of result of the written examination, a ntunber of candidates will be selected for personality test and on the basis of the total marks obtained in the Written examination and personality test, a ﬁnal panel will be prepared. The ﬁnally selected candidates for the post of Group-D may be appointed in any of the post of Ofﬁce Peon , Farash , Night Guard etc. 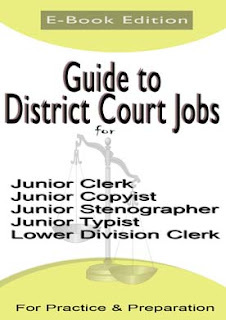 The applicants who are preparing for the English Stenographer, Lower Division Clerk, Process Server, Group D, Sweeper in Malda District Judge Court can check the important materials into this blog. You can refer Malda District Judge Court English Stenographer, Lower Division Clerk, Process Server, Group D, Sweeper exam syllabus and test pattern to your friends. The test pattern and syllabus varies from post to post. So follow Malda District Judge Court English Stenographer, Lower Division Clerk, Process Server, Group D, Sweeper post syllabus first. You can download previous paper form our blog and website free. 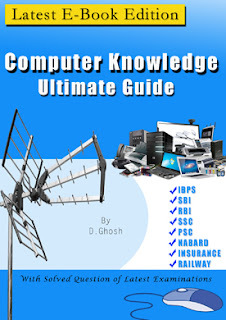 We are providing some downloading links for Malda District Judge Court English Stenographer, Lower Division Clerk, Process Server, Group D, Sweeper model papers, old question paper and sample preparation question answer. All question papers are solved with answer. Why previous year question papers are important for preparation? Old and previous year question will help aspirants to give an idea about the examination and question pattern. From previous question examinee can get marks distribution as per syllabus. As all previous year question papers are solved examinee can check the answers after solved. Malda District Judge Court company English Stenographer, Lower Division Clerk, Process Server, Group D, Sweeper post written test examination coming soon. Aspirants need to prepare well for this examination. For preparation candidates need model questions for preparation. We prepare English Stenographer, Lower Division Clerk, Process Server, Group D, Sweeper model question paper for candidates preparation. Download all the model question set to practice and preparation. Download PDF model paper free. All sample question papers are prepared under experts and specialist. Sample questions are as per syllabus described in the advertisement. You can download PDF sample question paper. All sample questions are solved and with answers. You can check correct answers after practice. English Stenographer, Lower Division Clerk, Process Server, Group D, Sweeper sample paper will help you for your preparation before examination. Refer you friends for English Stenographer, Lower Division Clerk, Process Server, Group D, Sweeper sample question set.